Over the last few years there has been a great deal of activity going on at Westminster raising awareness of the persecution of Christians around the world. Organisations such as Christian Solidarity Worldwide (CSW) and Open Doors have worked with and supported concerned MPs, but much of this has taken place behind the scenes with little public recognition by government. This is now beginning to change. Baroness Warsi, the first Minister for Faith has recently begun to speak forcefully on the issue both here and abroad. Yesterday saw a three-hour debate in the House of Commons on the persecution of Christians in the 21st century, and calls made by several Members of Parliament for the issue to be given much greater attention. The debate focused on the persecution of Christians around the world, including countries such as Pakistan, India, Syria, Iraq, Egypt, Nigeria, China, North Korea, Burma, Eritrea and Iran. The motion, tabled by the Democratic Unionist Party, noted concern at the “increase” in persecution of Christians worldwide. Jim Shannon, the party’s Strangford MP, said 200 million Christians will be persecuted this year due to their faith. The DUP’s motion, calling on the government to do more through foreign policy and aid work to support Christians, was passed by the House unopposed. I’d been praying for years for the concern of British MPs regarding Christian persecution across the world. Because I was one of the oppressed persons among many as I am from Bangladesh. Politicians should be more concern about it as Islamist is taking dangerous role everywhere. The thing is progressive Muslim or Secular Muslim must be encouraged rather than so called moderate . Moderate Islam can convert into fanatic Islam anytime and they do. Westerners should stop using the word called moderate. This bill was brought before the Commons by Fiona Bruce MP (Conservative Congleton). She is involved in a number of other issues as an active member of the Pro-life All Party Group, working to safeguard the unborn child, and she is also campaigning against human trafficking. She is a frequent visitor to Prayer for Parliament, a group of between 40 and 50 representing leading Christian organizations, which meets once a month in the House. Fiona Bruce has previously secured a debate in Westminster Hall on the persecution of Christians in the Middle East, and we were privileged to have her with us requesting prayer that a full 3-hour debate in the Chamber itself, with the title “Persecution of Christians in the 21st Century”, might be possible before Christmas. This was as recent as 20th November and it frequently takes many weeks or months to be granted such an opportunity. 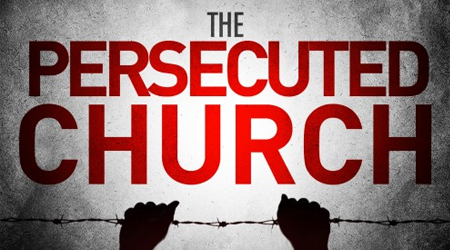 We ‘Christians’ have been too quite on ‘Persecution of Christians’. It has been so increased in this 21st century and if care is not taken, we Christians will not be able to worship any more and our religion will be reduced world wide. We don’t when and the volume of Christians that will be attacked during and after this coming Christmas. Our leaders should rise up to this issue. hi every one thanks for raising this issue let me tell u that I am a Pakistani Catholic Christian and faced a lot of prosecution while living in Pakistan I am a married women and having 2 kinds which have been born here me and my husband seeking asylum in England but I really don’t understand why which document we submitted to the home office they every time says your documents are all fake we don’t believe u r the liars we filed our case for human rights still they refused and said that u r liars. Every body know that Pakistan is not safe for Christians but they don’t understand. Please I Beg of the people who ever read this please help us to save my and my families life we don’t have no one in family left in Pakistan plz for Christ sake help us to save our lives.